February New in - Cherry Colors - Cosmetics Heaven! Last month I got a lot of stuff. 2/3 of them were gifts/exchanged/review items. Yay! Oh the nail polishes. It seems I can't have enough of them. If I were back to dating, I'd damn well hide my stash :P. But now I have them all my set on display, so you can see how crazy I am about nail polish ;). It's a serious business. The OPI polishes are the first generation of sand effect polishes. How cute are those little bottles? Femme fatale nail polish is damn pretty, but annoying to apply. Meh (hello sponge application). Essence base coat is lovely. Nothing special, just good. 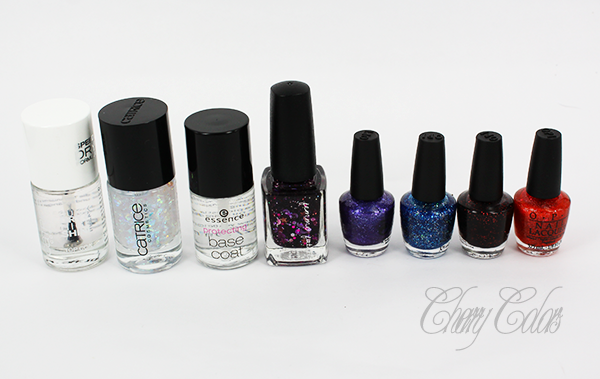 Catrice Glitterazzi can go f itself. I am sorry for being rude, but damn damn I hate when I apply a nail polish that is supposed to be glitter, you know, and then no damn glitter comes out?! Catrice gel like top coat. What a joke. The Essence top coats are better. Seriously. It has a thin formula but it doesn't dry quickly. Meh. Mmm this is some good smelling review haul ;). 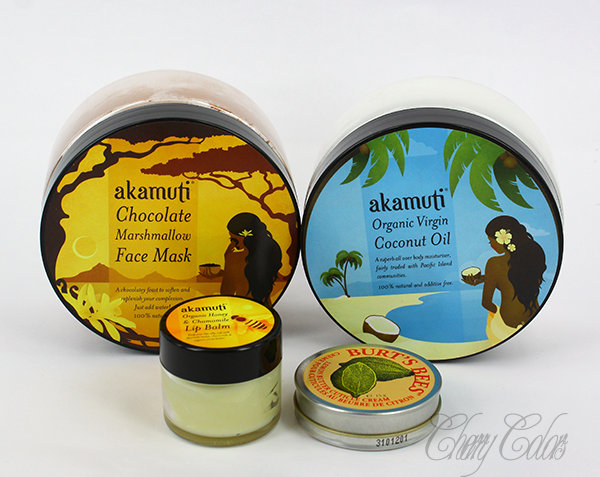 Akamuti chocolate marshmallow mask - damn yes! Smells good! Akamuti Coconut oil - I've been using this every single day since I got it. Oh boy, yes, give me moreee! Akamuti Organic Chamomille and honey lip balm - smells yuck (I forgot I don't like honey scented stuff, and this chamomille combo with it is overpowering, blah), but it does help my lips a lot. Little smelly miracle! Burt's Bees cuticle cream - it is actually like a lip balm. Smells nice (less artificial than Lush's lemony flutter). It works, but I need to see more proof since it's too lightweight to believe it just like that :P.
Mizon Placenta Ampule cream - yeah... I read that it's very moisturizing. And since I bought a snail cream.. lets dig in the world of weird cosmetics products. 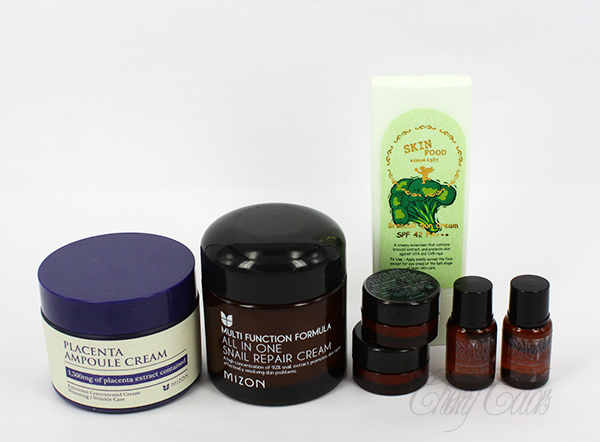 Mizon Snail repair cream - I read great things about it. We'll see. Benton Bee's snail steam cream & Bee's snail essence - It's supposed to be even better than Mizon's, but we'll see. Has no scent at all, which makes me somehow sick?? I also got some birthday gifts, which I will show you next time :)!